Santa Anita la Union is a small community in the western highlands of Quetzaltenango in Guatemala, established in 1996 after the 36-year fight for human and land rights by indigenous groups. The rich, volcanic soil around Santa Anita and neighboring Colomba is known by coffee buyers for yielding some of the highest quality coffee in the world. However, it is also known as a region where people struggle to survive, with high unemployment and extreme poverty. De la Gente works to support the coffee cooperative in Santa Anita, named APCASA, consisting of 10 families. 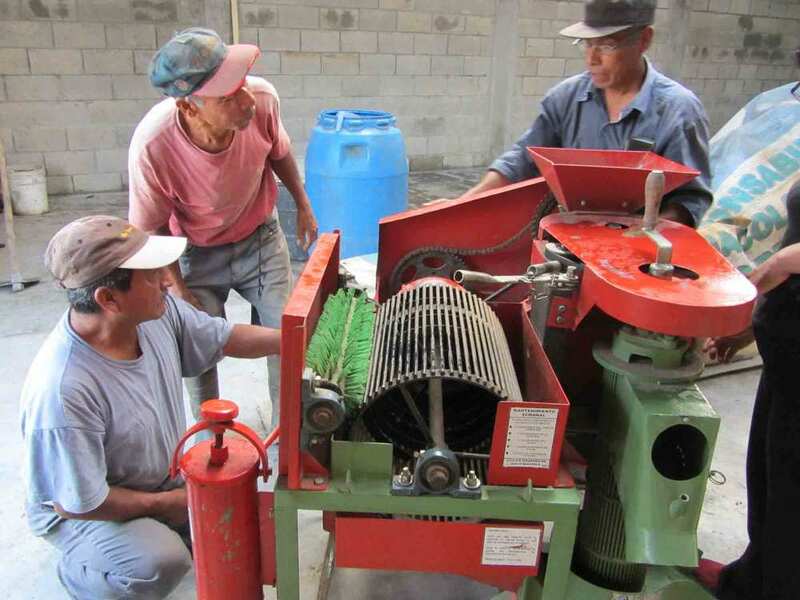 As the area has been devastated by the coffee fungus roya, De la Gente is working to provide better technology, new coffee plants, and training on use of fungicides and fertilizers. The community of Santa Anita is working to develop their livelihoods through growing coffee, macadamia, banana and avocado trees, and building their ecotourism program. The families have had a very difficult two years due to the devastating effects of roya - leaving them with very poor harvests and little income for the year. They are currently struggling to provide their families with even the basics such as nutritious food and clean water. In February, De la Gente distributed 10 water filters to the community - 1 for each family, allowing them to have access to safe, clean drinking water. The double benefit is that this will reduce their costs on purchasing bottled water, which can be a huge expense. The families were so appreciative for the support. Thanks to generous supporters De la Gente is able to help make life a little easier for this community.